A stunning example of the Sabre 402 that is as beautiful to sail as she is to look at. 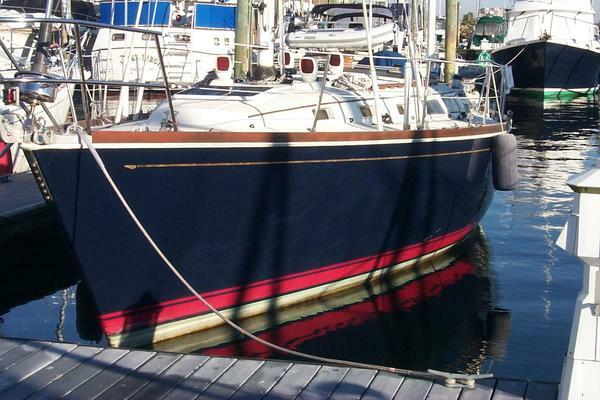 This boat has primarily been used as a day sailor by her owner of 10 years, and it shows. Interior and exterior cosmetics are top-notch. All bright work is in Bristol condition, and will need only routine maintenance coats each season. Equipment includes the 6’ 3” deep keel, autopilot with wireless remote, 2016 headsail, 2016 Fairclough winter cover and more. Click on “View Full Specifications” for a complete inventory and photos. Teak rails - all teak in "excellent condition"